Matt has been involved in Global Mineral Resource and Valuation Reporting since 1992. He has a strong background in the Minerals industry, having held senior positions in Goldfields International, in Randgold Resources, and before starting Tecoma Strategies, he was BPB Global Vice President for Mineral Resource Development, based in Perth. He has also worked in Rock Engineering Research, as an Analyst on the Johannesburg Securities Exchange, and has been closely involved in listing Companies on NASDAQ, on the LSE and on the JSE. 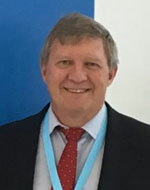 He is currently Chairman of the SAMCODES Standards Committee (SSC), the broad-based industry committee which is tasked to develop, maintain, administer, ensure compliance with and promote the South African Codes. Global Mineral Resource Reporting Standards have evolved in individual countries over the past three decades to be an effective means of global conformity in Reporting. Eleven individual countries (including Kazakhstan) have now subscribed to the CRIRSCO Template.. Although there is considerable conformity in the 11 reporting codes, country-specific differences are still maintained. Mineral Asset Valuation Codes have developed in parallel with the reporting Codes, and in turn, show more differences in terms of the Codes themselves, and in their acceptance by the relevant Securities Exchanges. This paper will describe these differences and similarities. The current organisation and effectiveness of the SAMCODES Standards Committee (SSC) in South Africa will be described. SAMCODES comprises the Minerals Reporting Code (SAMREC), the Mineral Valuation Code (SAMVAL) and the Oil and Gas Reporting Code, and these, together with the SSC relationship with the Johannesburg Securities Exchange, will be critically described.